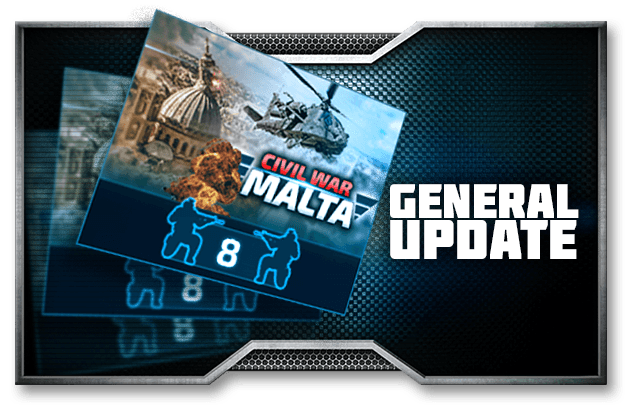 Besides this map we are also releasing a swathe of updates to the general usability of the game, as well as some hotly discussed balancing adjustments to our Artillery Line of Units. Please also note we raised the HP of our Cruise Missiles ever so slightly to somewhat reduce the early game kill ratio of anti missile defenses. World War 3: General map polishing. Overhaul of United States of America to better fit real-life state borders and major cities/regions. The post was edited 7 times, last by Yak ( Feb 7th 2019, 4:01pm ). It looks like whatever changes were made today, have now made the game unplayable. I can't load my game (2620017) at all. It just tries to load. I had the same problem, was stuck on loading screen for all my games. Seems to be working now though. No games loading for me either! Seems a great balancing update. Running an online alliance is pretty much like running a small company, except you need to find other way than money to keep your employees productive. May they play or work, they are humans. Indeed our servers were c**** up - hotfix being applied currently - should be live shortly. The issue had to do with the officer changes and it seems it needs a bit more polishing. Sorry for the inconvenience - apologies from our side for any disruption caused. My game 2573881 was not loading but it is now. But now I have a ship stack and transport ship that I am trying to move and the pop-up window with the move/attack commands is not coming up. I am in the middle of a battle and can use my units. I can not move anything at sea and i am in war, so its frustrating, that i have troops getting killed and can not get support to them! We are aware of the graphical issues you're having. We're investigating to see the cause. Alternatively what you can do is drag and drop via mouse and it should be working fine again. Currently we are working on the fix for this issue. The post was edited 1 time, last by Germanico ( Feb 7th 2019, 5:37pm ). The latency issues are getting to be a bit of a drag. I love getting the constant not responding pop up at the bottom of my screen, especially when I try to do something in the middle of a fight. This gives me an idea: We should exchange the little particle projectile with some fluff balls.